The number one question on all of your minds is, undoubtedly, “When will we be able to play Firearms: Source 2.0?” – the answer? Well, at this time we honestly can’t give a proper estimate of when the game will be thoroughly tested, balanced, and 100% content-complete for a Steam release. However, what’s certain today is that a closed beta for FAS 2.0 will be launched either late this month or in early February. We’re not giving an exact date as a contingency for any last-minute issues which may arise, but we will definitely be putting out a playable beta version within that time frame. The number two question you have is probably something to do with what Firearms 2.0 has in terms of new content. Now that is a question I can answer! How does a new game mode, new weapons, significant map changes, weapon attachments, and a completely rebalanced arsenal sound? Oh, and we’re also working a new user interface for the game as well as improving upon the in-game ranking system. Since the last version FAS 1.0, we’ve temporarily removed the Search and Destroy gametype – why? In its current state we feel that even though the basic concept is sound, it isn’t done justice by the existing maps and mechanics. For the time being we’ve stripped it out of FAS 2.0′s official levels until a later update when we can dedicate time and resources to developing it to the same standards as our other gameplay modes. 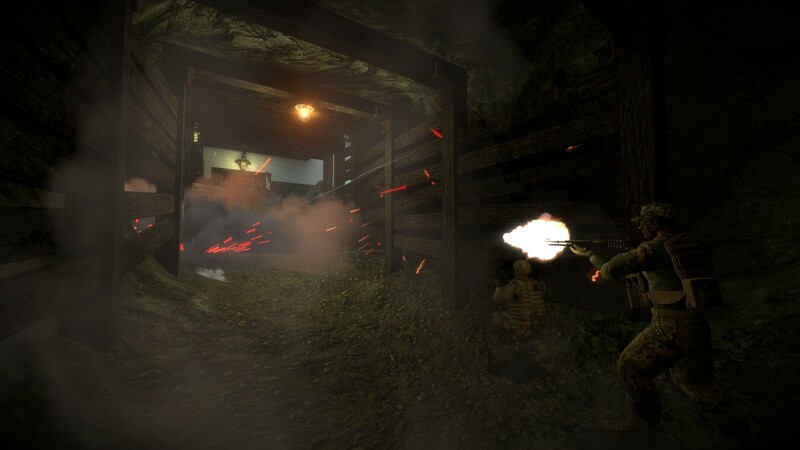 This allows us to focus on other objectives such as the new Assault levels in the mean time, bringing you the best experience possible on release day. If you missed last year’s update and are interested in learning more about Assault mode, you can read all about it here. But that isn’t all! You may know from a previous blog post that we’re adding weapon attachments to the game, so not only will there be a wide variety of weapons to choose from, but also you’ll be able to customize them to fit your unique playstyle. 2.0′s system will include suppressors and aimpoints for all firearms which can accept them as well as tritium sights available for certain weapons, with many more options planned for future patches. Without going into absolute specifics, there are some big changes happening to our roster of levels in terms of both visual quality and design. 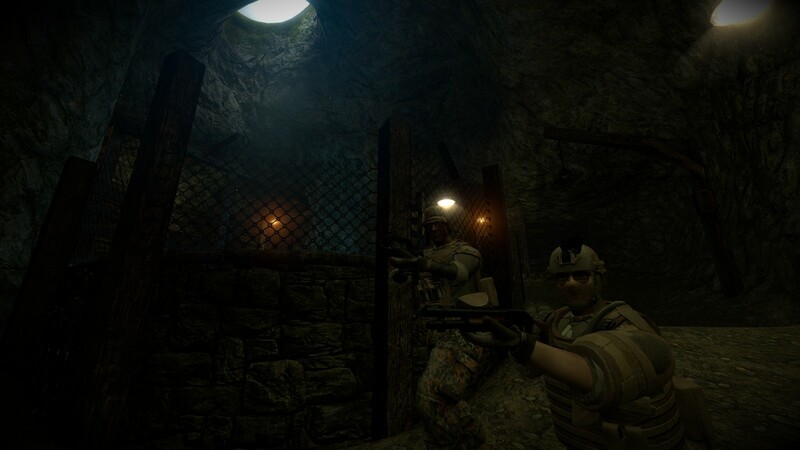 These reworked (sometimes almost completely recreated) levels aim to bring you improved, fluid combat as well as a wider range of engagement distances to accommodate all styles of play. We want every weapon and every strategy to be covered; we believe every option should have a proper and challenging role to fill in each level. Finally – the ranking system. We’ve received comments lately in relation to the score system looking ‘CoD-esque’. The truth of the matter is that mechanically FAS’s ranking system has remained largely unchanged from version 1.0, with the only major alteration being an exponential curve to the points required for each consecutive rank. This means that new skills are easier to obtain at the beginning of a match but more difficult by the end as you amass more of them, with each increase in rank requiring more points than the last. As this naturally requires larger numbers than 1.0′s linear “score” value to function properly, we’ve replaced it with a more flexible three-digit field labelled “exp”. Though the way our new heads up display shows XP gains may appear similar to a modern shooter’s progression system, that’s where the similarity ends. The only progression of power in Firearms: Source takes place inside of each individual game, as is the Firearms way. I think I’ve sufficiently tickled your taste buds for now – feel free to let us know what you think on our forums, and as always you can PM me there too with any queries you might have. Don’t forget to check out our Facebook page, as we make fairly regular posts there as well.